Trialog participated in the ITU Workshop on Artificial Intelligence, Machine Learning & Security in Geneva on Monday, January 21th. Antonio Kung, President, gave a presentation on the impact of AI on life cycle processes. Trialog actively participates in research on cybersecurity issues. More particularly concerning technological innovations such as Artificial Intelligence (AI), Internet of Things (IoT) or Machine Learning (ML). In 2018, Antonio Kung co-authored, with CoESSI, two papers on IoT and AI topics. The first paper was presented with the collaboration of CoESSI at the C&SAR conference in November 2018 in Rennes. It underlines the importance of considering the ecosystem in the analysis of security and privacy processes when building and operating an IoT system. 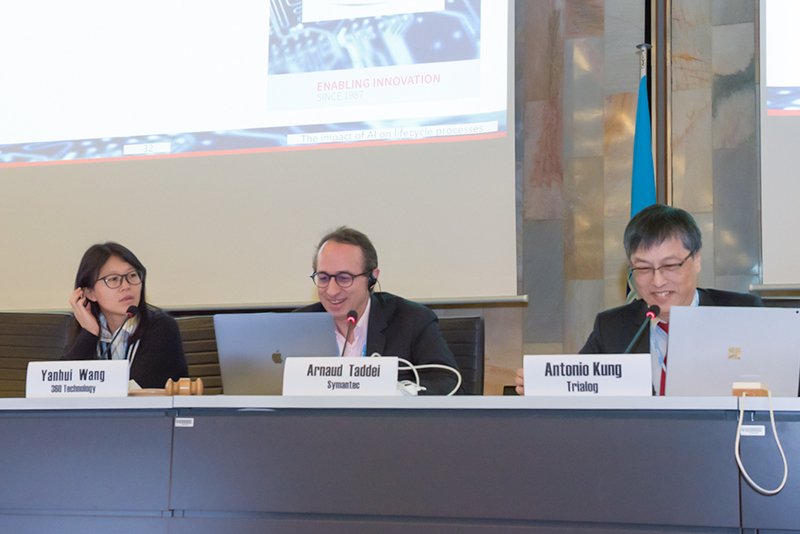 The second paper was therefore presented on Monday, January 21th at the ITU workshop. It studies the impacts that artificial intelligence can have on security and contrasts two visions of AI: beneficial and malicious. The publication highlights the impact of this dual vision on the life cycle of security management and data protection. A Beneficial AI focusing on improving security, for example, assistance in designing and validating security solutions, supervision systems or incident management systems. A malicious AI focusing on security attacks, for example on the non-detectability of attacks, or on attack intelligence.